One of the reasons we are able to gather momentum is because of our Legacy Circle members who have committed to leaving a gift to Mary’s Pence upon their passing. Genevieve, an enthusiastic supporter of Mary’s Pence for all of our 30 years, passed away in April. Her legacy will live on in the women whose lives will be improved because of the bequest she made. We cannot express our gratitude deeply enough. Genevieve was an amazing woman. All her life she helped others, first as a member of the community of the Adorers of the Blood of Christ of Ruma, IL where she was educated and then served as a teacher, and then as a social worker in the St. Louis school system for 30 years, serving above and beyond many segments of underserved students. Genevieve was deeply spiritual and loved to travel the globe. Her passions were peace and justice issues, gender and human rights issues, ecology and philanthropy. Throughout her years of support for Mary’s Pence, Genevieve regularly wrote to us and attended events when she could. She loved our yearly summer reading list and often let us know which of the books she had read and that she would be sharing it with her friends. She also especially enjoyed the Call to Action conferences where we held receptions for supporters and friends. 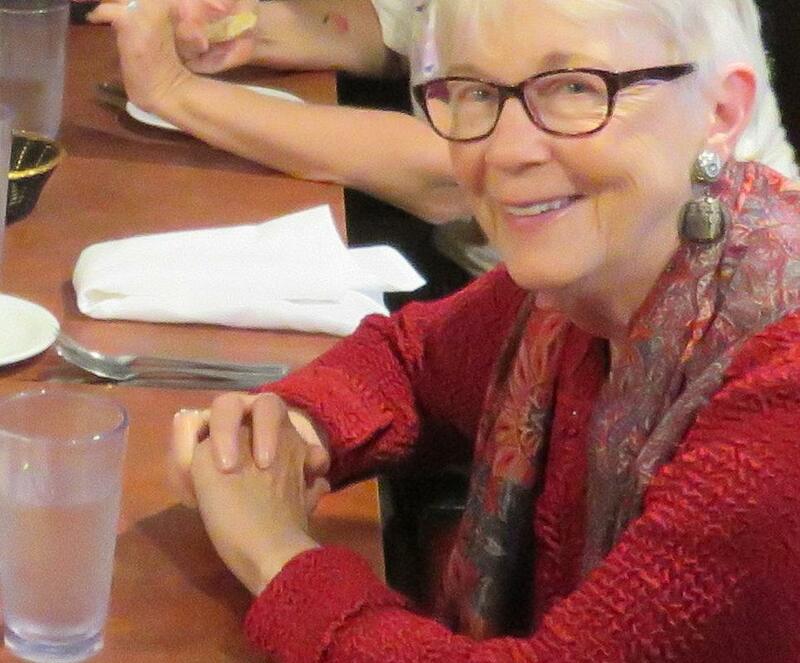 Genevieve’s passion for supporting women was evident not just in her monetary contributions to Mary’s Pence but also in how she regularly shared our work with her friends and loved ones. Her contribution to women in the Americas is significant and lasting. Genevieve was a true salt of the earth woman. We were blessed by her participation in the Mary’s Pence community. And as our work with our grantees and ESPERA women expands and deepens we all continue to feel her blessing. This is a prayer that “Genny” O’Hara Brueggamann and her sister Mary O’Hara Wyman loved and shared over the years. Watch the Video of Genevieve sharing why she decided to become a member of the Mary’s Pence Legacy Circle. Learn more about Legacy Gifts.